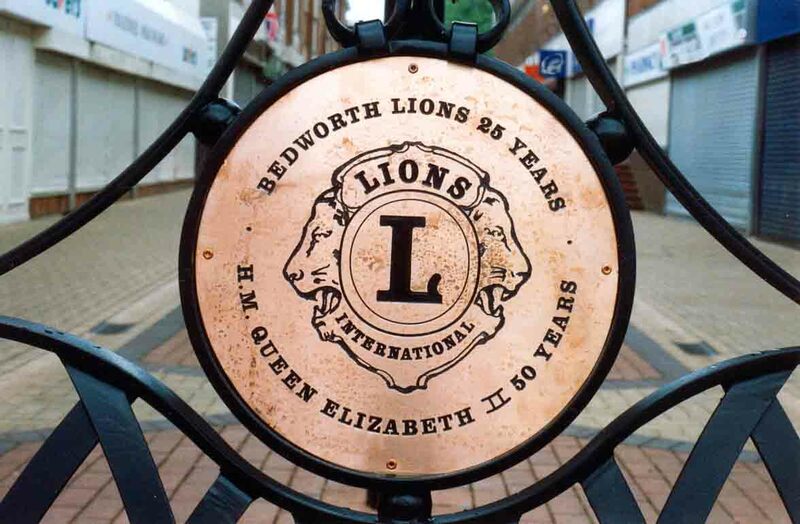 To commemorate The Golden Jubilee of Her Majesty Queen Elizabeth 2nd & The 25th Charter Year of Bedworth Lions Club in June 2002. 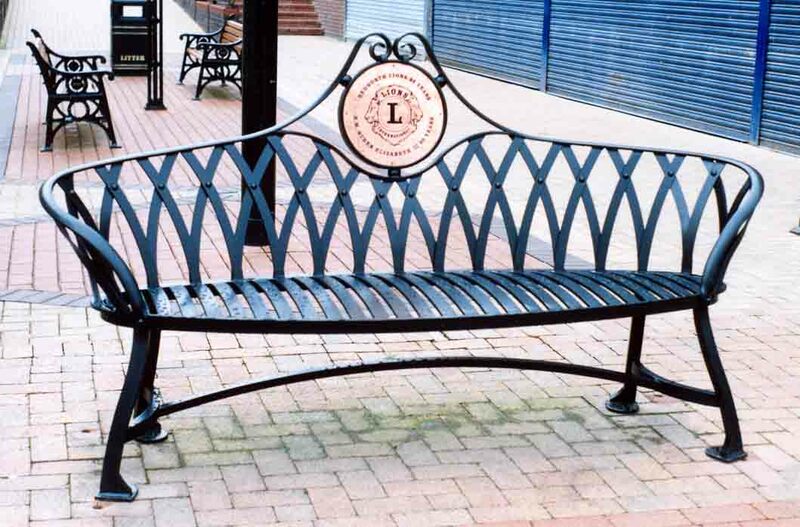 A specially designed bench was commissioned & has been erected in Bedworth Town Centre. 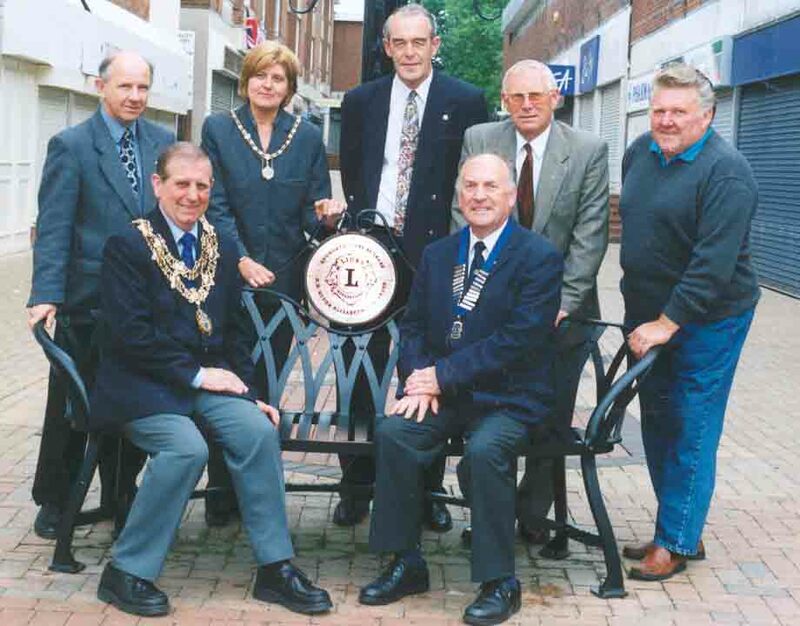 This unique hand crafted commemorative bench is a gift from Bedworth Lions Club to the town of Bedworth. The bench has been accepted for the people of Bedworth by the Worshipful Mayor Councilor Geoff. Ashford. It is located in Congreve Walk at the junction with All Saints Square, opposite the Nicholas Chamberlaine Alms Houses. the whole project came together. Many thanks to Ray & his team for an excellent job well done & on time. Thanks to Cllr. Dennis Harvey the council leader & the officers in the planning & engineering departments for their magnificent co-operation. Further thanks is due to 'the council' for the swift intervention after a possible attempted theft of the bench in August 2004. There was a swift removal of the bench to a place of safety; then the bench was re-sited as if it had not been away.